In fiscal year 2005-06, the Legislature authorized NRDs located in fully appropriated or overappropriated river basins the authority to levy up to 3 cents on each $100 of valuation on all taxable property within each district. The levy could be used only to pay for ground water management activities and integrated management plans under the Nebraska Ground Water Management and Protection Act. The levy authority ended in FY2017-18. 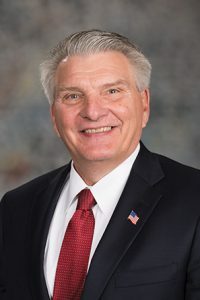 Introduced by Gering Sen. John Stinner, LB134 would reinstate the levy authority from FY2020-21 through FY2027-28. The bill also would require each district to keep separate records on the funds raised by the levy and document how they are used. Stinner said 10 of the state’s 23 NRDs could use the levy under their current designations, but only eight used it in the past. Those that did used it “judiciously,” he said, and the levy should be reinstated to help NRDs meet obligations imposed by the integrated management plans. John Berge, general manager of the North Platte NRD, testified in support of the bill on behalf of his district and the Nebraska Association of Resources Districts. He said the North Platte NRD, which was deemed overappropriated in 2004, used the 3-cent levy to raise matching funds for federal and state grants used to pay for programs and incentives that helped farmers use less ground and surface water.